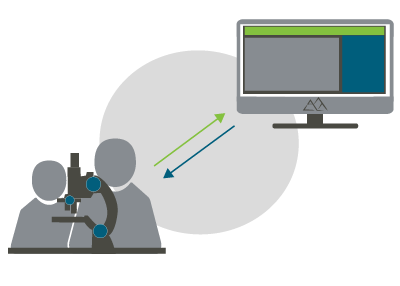 The ideal solution for labs working with all types of microscopes and profilers, MountainsLab® software is the ultimate, industry-standard surface analysis suite and point of confluence for all your data. You can count on our team’s extensive expertise to ensure successful analysis, whatever your application. 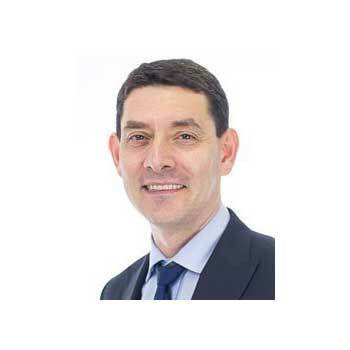 Bring together data from multiple instruments, speed up analysis by using one single software program and ensure you are generating meaningful results from your data. Process data from 2D and 3D profilometers, scanning electron microscopes (SEM), scanning probe microscopes (SPM)/atomic force microscopes (AFM) and spectrometers. Open hundreds of file formats covering profiles, surfaces, images, multi-channel files, force curves, hypercubes, etc. 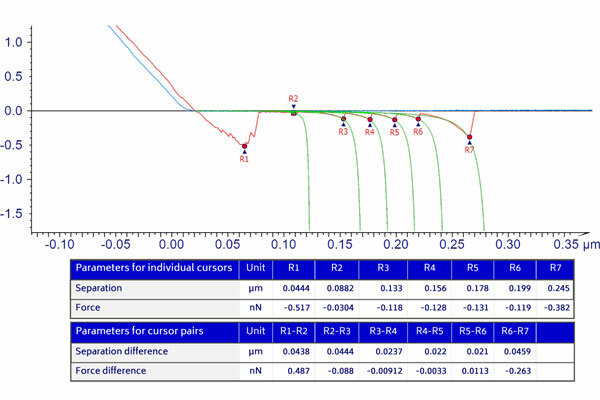 Perform correlative analysis quickly and easily. 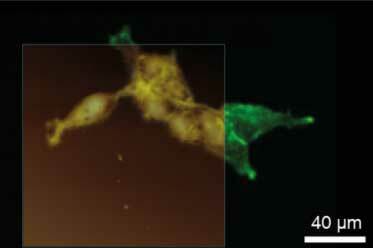 Use the MountainsLab® colocalization feature to combine and overlay images and other data from different instruments. 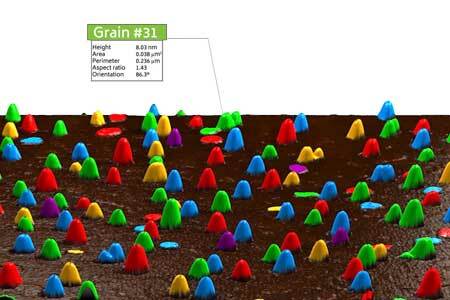 Use application-specific tools for analyzing surface texture. 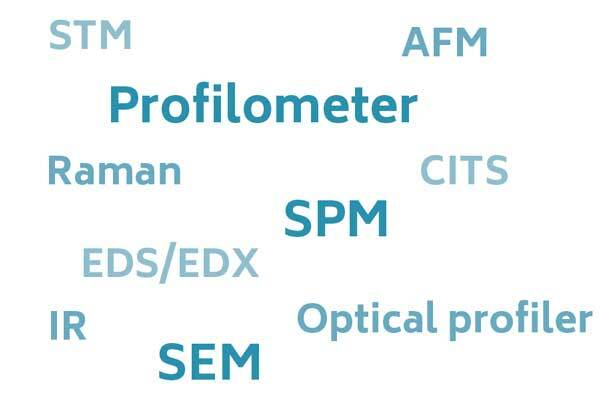 Access advanced filters, parameters and other tools for profiles, series of profiles and surfaces. Detect and quantify particles, pores, grains and other image features of any shape and size on any surface and from any instrument. Group particles into classes based on characteristics and generate statistics. Generate statistics for static or dynamic data populations. 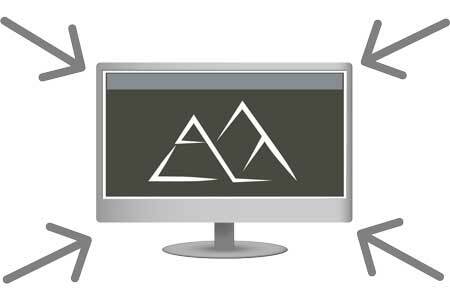 Create statistics reports and let MountainsLab® detect and update data automatically. 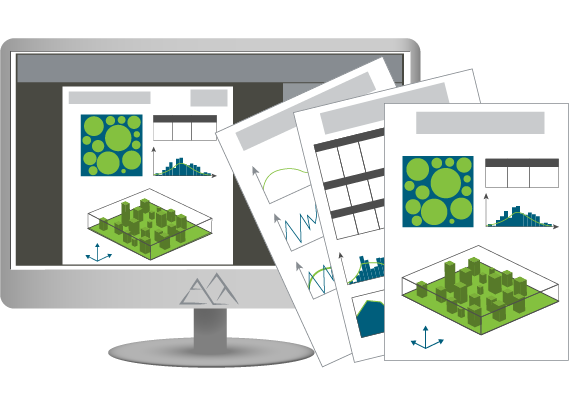 Display control charts, histograms, scatter plots and more. 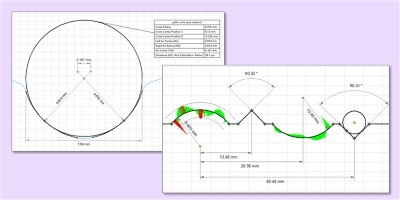 Automatically generate dimensions of profiles, compare profiles with CAD data in DXF format or user-defined nominal form and graphically display form deviations. Analyze force curves and force volume. 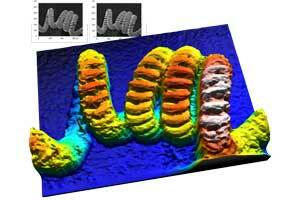 Detect adhesion force, apply Wormlike chain (WLC) models for protein unfolding, generate Young’s Modulus map etc. 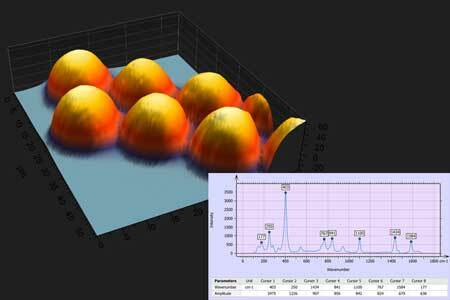 Visualize & analyze spectra & hypercubes obtained using Raman & IR spectrometers, CITS etc. 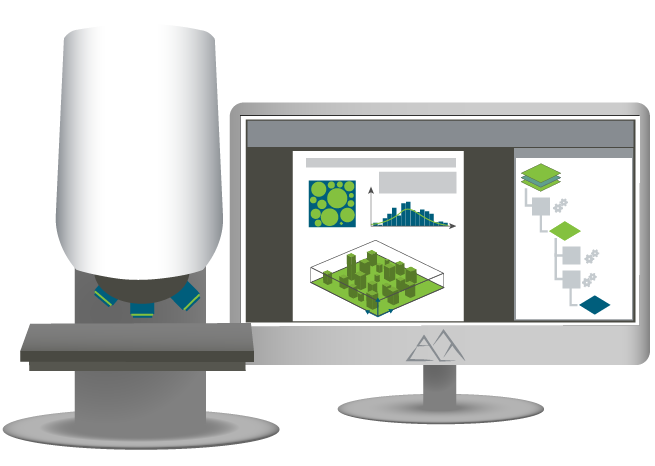 Add color to objects in SEM images in just a few clicks. Automatic object detection. Save time compared with using photo editing software. 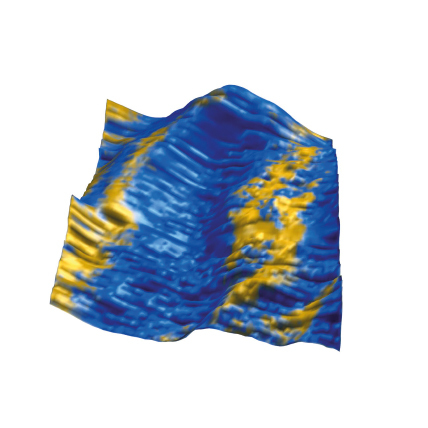 Generate 3D surface topography from two successive tilted scans of your sample or 4 images scanned by a 4-quadrant detector. 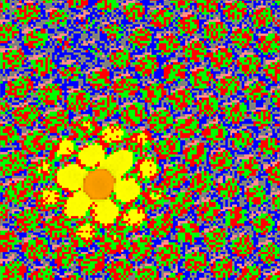 Get approximate 3D rendering from a single image. All in a matter of seconds. Access tutorials and ready-to-use templates adapted to each different instrument type. 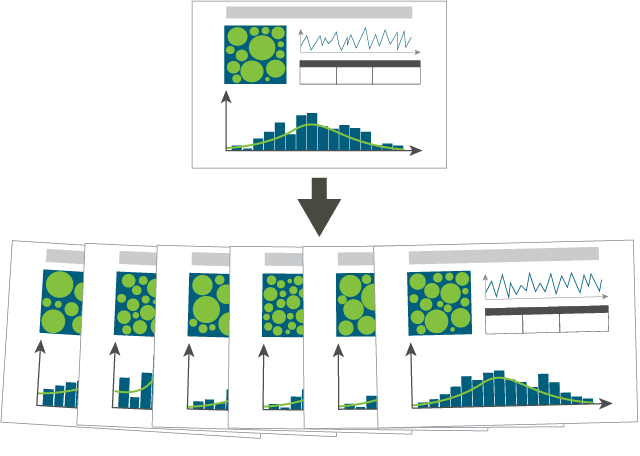 Easily teach new colleagues about surface and image analysis routines. 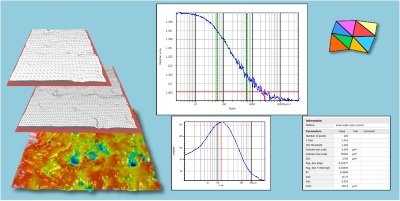 Benefit from Digital Surf’s 30-year experience in surface analysis and metrology. Hundreds of research laboratories and institutes worldwide trust the power and precision of Mountains®. 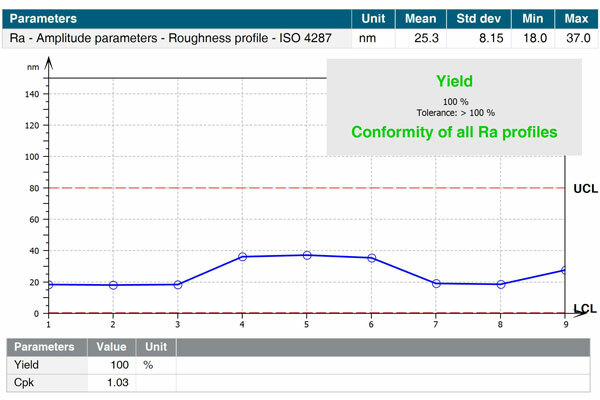 Become part of the global 15,000-strong community of Mountains® users and trust the analysis software chosen by the majority of leading manufacturers of microscopes and profilometers. 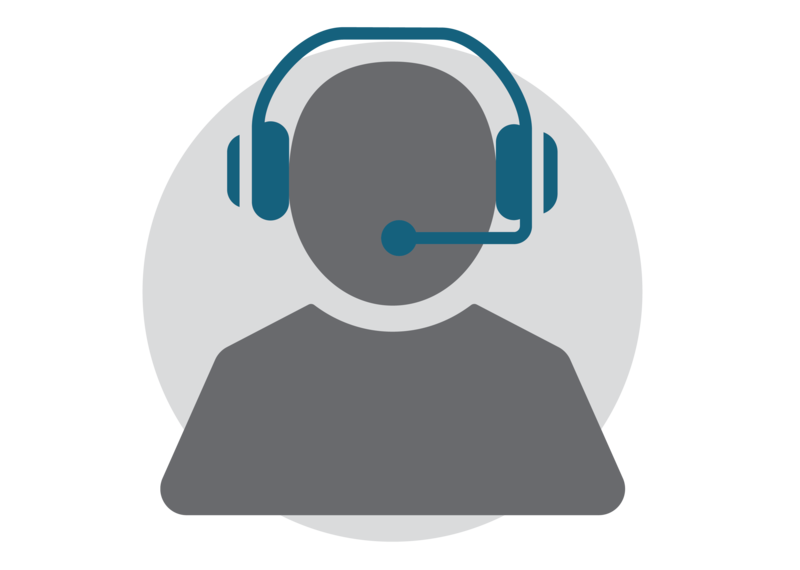 Choose to work in your own language and get answers on using MountainsLab® from our responsive international support team. MountainsLab® handles your repetitive data analysis routines and includes many automation tools including templates. Organize your data and image analysis on multiple pages and publish directly in various formats (PDF, Word and Excel). It’s easy to share your work with colleagues, students, clients etc. 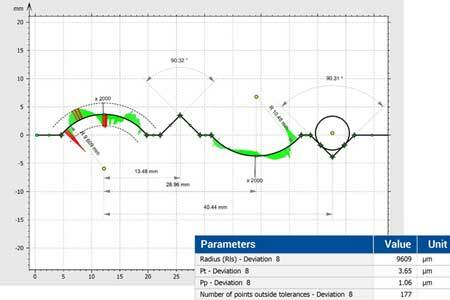 Thanks to its unique analysis workflow, MountainsLab® makes it easy to track analysis steps applied to data. You can instantly revert back to any step and update it: all dependent steps will be recalculated automatically! 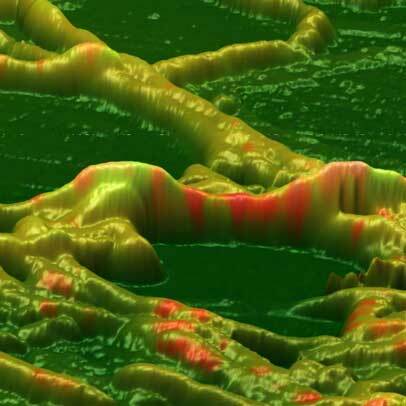 Advanced surface imaging, analysis and metrology software capable of compiling and processing data from all types of surface measuring and imaging instrument: 2D/3D profilometer, scanning electron microscopes, scanning probe microscopes etc. 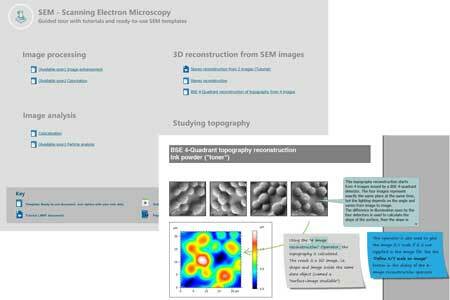 Gives access to ultra-fast 3D reconstruction from stereo or quad SEM images, instant 3D enhancement of single SEM images, automatic SEM image colorization, enhancement & correction and an extensive range of 2D analysis & characterization tools for SEM images. Includes tools for the correction and enhancement of multilayer SPM data, dimensional measurements (step heights, distances) and detection, analysis and classification of particles and pores. 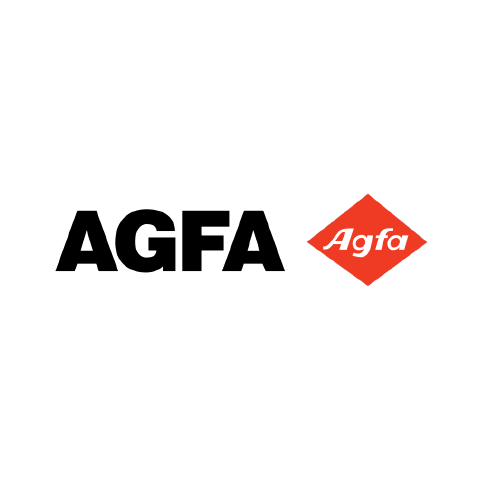 Contains automotive parameters, advanced filters, parameters and other tools for profiles, series of profiles and surfaces including extraction of sub-surfaces, morphological filters, fractal analysis and more. 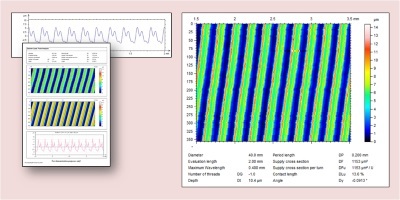 Ultra-comprehensive surface imaging, analysis and metrology software capable of compiling and processing data from all types of surface measuring and imaging instrument: 2D/3D profilometer, scanning electron microscopes, scanning probe microscopes etc. 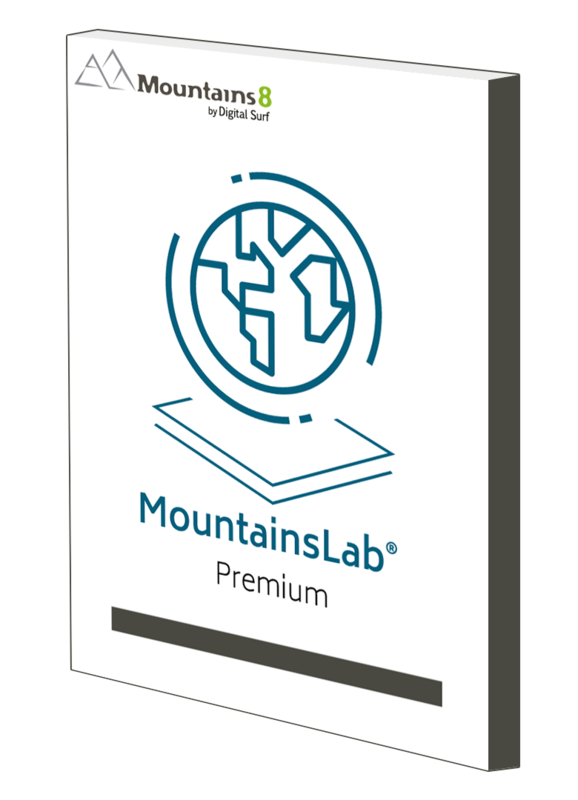 Includes all MountainsLab® Expert features and adds an ultimate set of surface texture parameters, particle and pore analysis, statistical analysis of static and dynamic populations, force curve and force volume analysis and features for spectroscopy (Raman & IR spectrometers, CITS etc.). 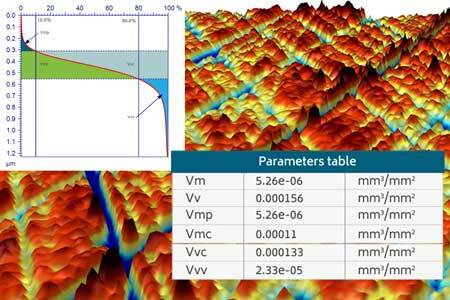 Also includes all available modules from across the Mountains® product range (except Lead analysis and scale-sensitive fractal analysis). The following range of optional modules for advanced and specialized applications is available for MountainsLab® range.